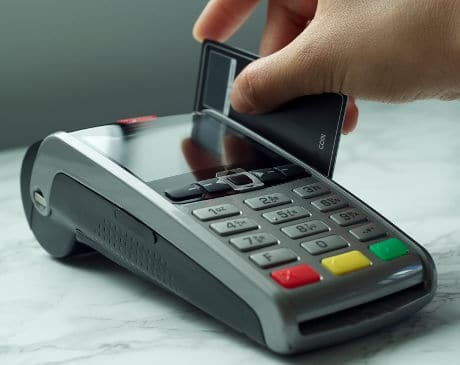 Connected device maker Coin has released a new version of its electronic magnetic stripe card that is EMV-ready and incorporates NFC, allowing users to store credit and debit cards and make both contactless and swipe payment transactions for in-store purchases. “Coin 2.0 devices are shipping today with NFC in early access mode as the company finalizes integration with the necessary financial institutions in the coming months,” the company says. “Coin 2.0 will support chip and pin cards via ‘Tap to Pay’ NFC capability. Customers will be able to transact with ‘Tap to Pay’ NFC with select payment cards; the mobile app will clearly outline which payment cards are eligible. “Customers will be able to enable EMV compatibility through an over-the-air software update. “EMV over NFC, known as contactless EMV, is the future of EMV-compliant payments and is also used by Apple Pay and Android Pay. Coin 2.0 will be able to make EMV-compliant payments with NFC that are even more secure and convenient than chip and pin transactions. Users add cards to Coin using a dongle they attach to their smartphone and then use the card’s built-in display and button to select which card they wish to use for a particular transaction. The company unveiled its first generation Coin card in November 2013 without the inclusion of EMV and NFC. “All customers that have already received a Coin are eligible for a free upgrade to Coin 2.0 by claiming it in the latest version of the iOS and Android mobile apps,” Coin adds. “Customers that have not yet received a device as well as anyone that purchases a Coin before the end of the year will be upgraded automatically. “We’ve worked hard to deliver ‘Tap to Pay’ NFC-enabled Coins and are pleased to be able to be shipping these as of today, including upgrading all existing customers at no cost,” says Coin CEO Kanishk Parashar. Customers who buy Coin today can expect Coin 2.0 to begin shipping in the fourth quarter of this year but the “timeline may adjust based on demand”, the company says. The Coin 2.0 card costs US$100.